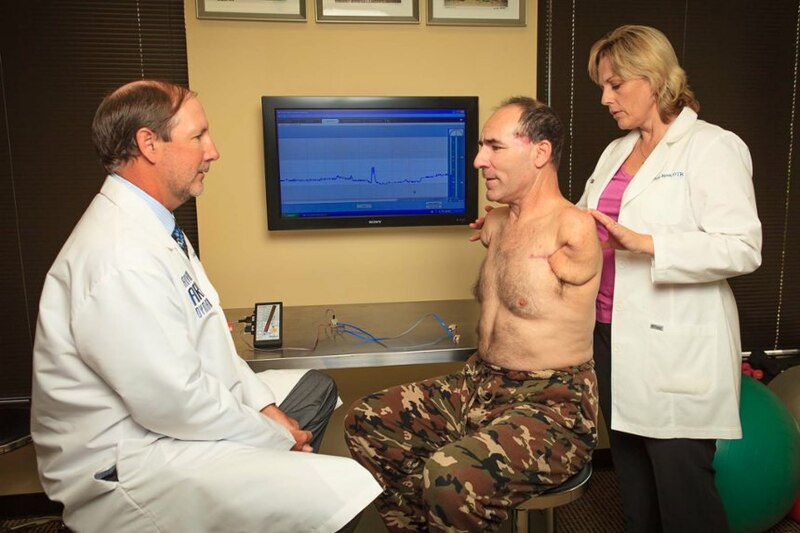 Preparing upper limb prosthetic patients for success. Our on-site therapists work exclusively with upper limb loss patients to support the fitting process, provide training that’s relevant to each person’s goals, and help them shift into life as capable, independent prosthesis users. 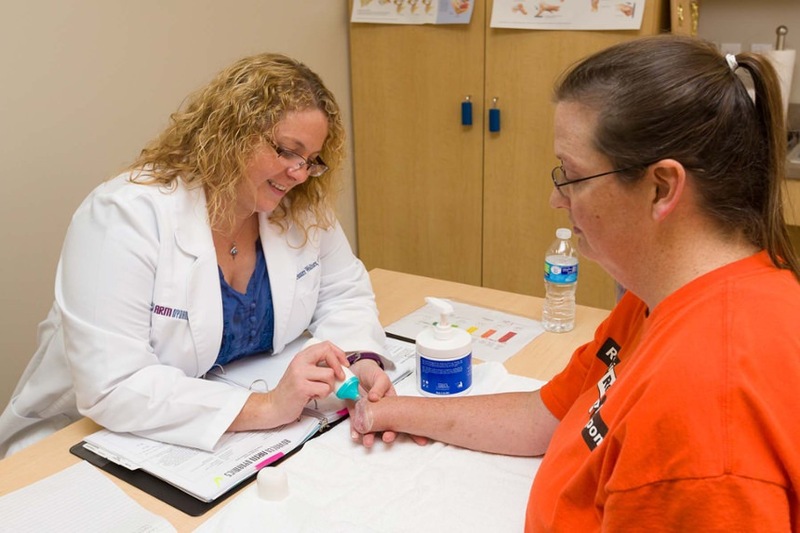 Acute care is the initial phase of occupational therapy and begins soon after injury or surgery. This phase involves assisting the patient with wound care, sterile whirlpool, ultrasound, debridement and edema control. The therapist recommends adaptive equipment to help the patient achieve more independence prior to receiving a prosthesis. The acute phase also includes scar management, range of motion, soft tissue mobilization and desensitization of the residual limb. The early involvement of a therapist helps ensure that the patient moves through the rehabilitation process without lapses in care. 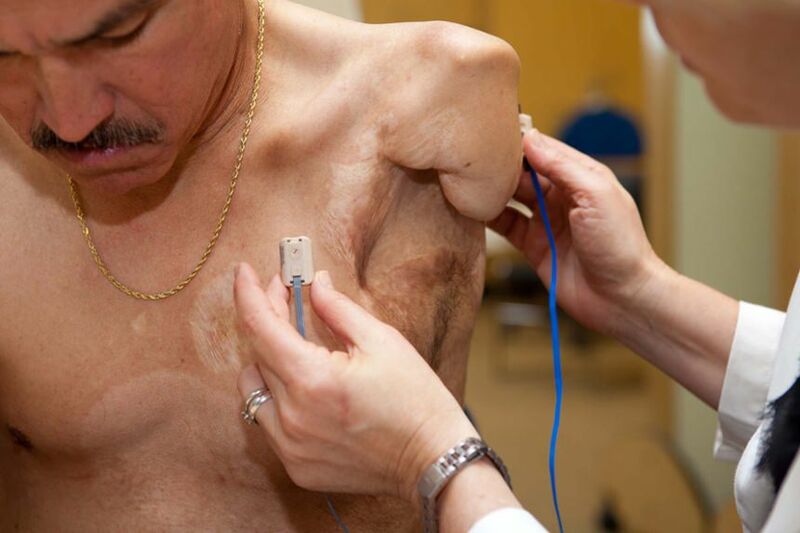 Pre-prosthetic training helps prepare the patient for wearing and using a prosthesis. 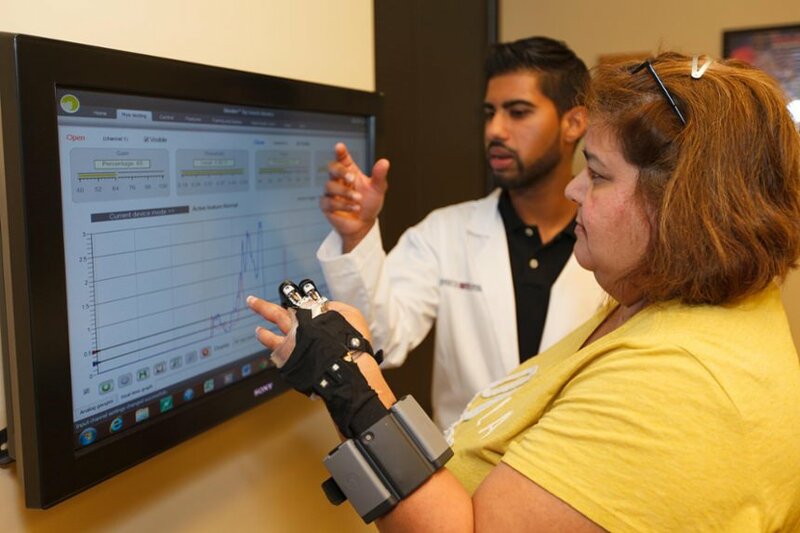 This can include scar and soft tissue management, and focuses on residual limb shaping, developing upper limb strength, and training muscles with biofeedback software. Verbal instruction and plenty of practice teaches the patient how to isolate and contract muscles in the residual limb to eventually control the prosthesis. 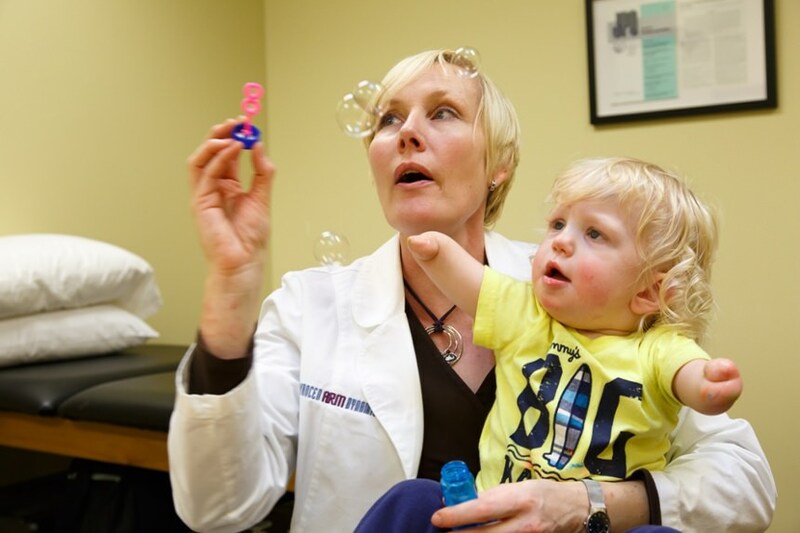 Therapists also educate patients about how to reduce some of the long-term problems associated with upper limb loss such as overuse injuries on the uninjured side, scoliosis, injuries on the prosthetic side that stem from poor body mechanics, and generalized back and neck pain. This phase also includes adjustments to the alignment and controls of the prosthesis, and modifications to the shape of the interface or socket. 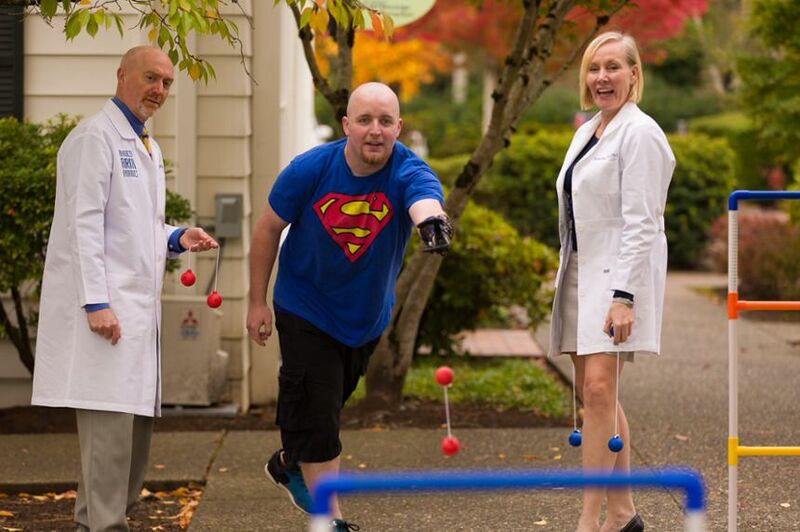 The patient, prosthetist and therapist work together to resolve any prosthetic and therapeutic issues, maintaining steady progress toward the patient's functional goals. 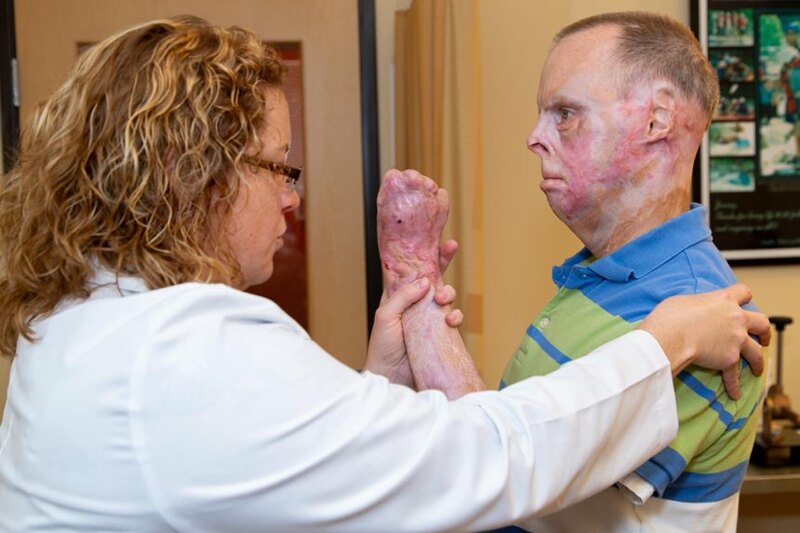 During the post-prosthetic phase of therapy, patients continue building basic prosthetic skills, increasing their independence and practicing more complex tasks. Occupational therapists often visit a patient’s home, assist with minor modifications, and recommend adaptive equipment and other outside resources. This can include information on driver training and vehicle modification services. 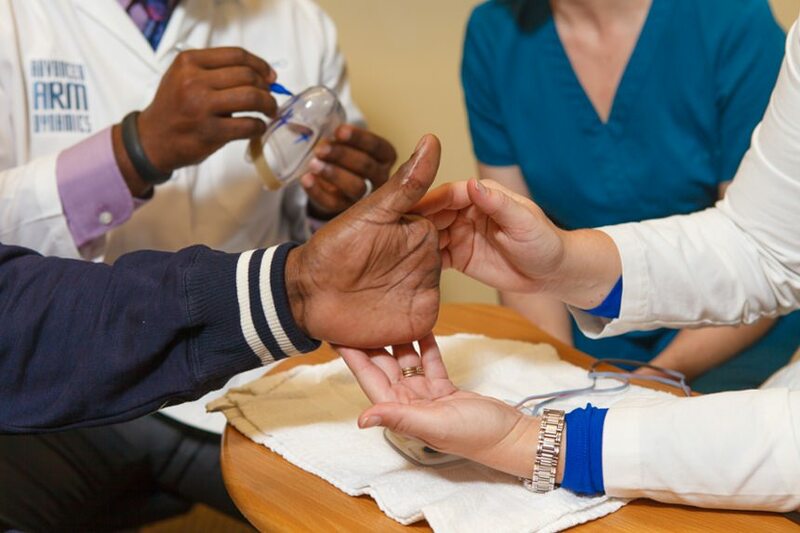 Prosthetic success rates improve dramatically when therapists focus on activities that relate to the patient's specific vocational and recreational interests. Our therapists may go to a patient’s workplace to guide them on how to efficiently use their prosthesis on the job. Therapists may also assist patients on initial visits to the grocery store, the gym, restaurants and other locations. 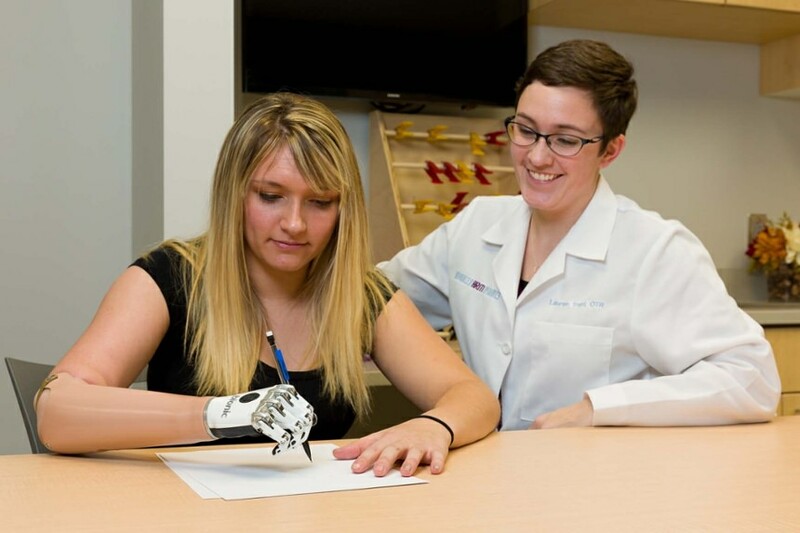 Occupational therapy is a critical component of successful upper limb prosthetic rehabilitation. Arm Dynamics wants to be a resource for occupational therapists who work with upper limb amputees and prosthetic users. It’s part of our mission to improve rehabilitation and lifestyle outcomes for all people who have lost an upper limb or were born with a limb difference. We’ve presented AOTA certified CEU courses on upper limb prosthetic rehabilitation for OTs in New Jersey, Pennsylvania, Ohio, Minnesota, Oregon, Oklahoma and Texas. Attendees earn 0.10 occupational therapy CEU for a one hour course. The annual requirement for CEUs/PDUs is mandated by each state’s Board of Licensure for Occupational Therapy and varies from state to state. Check with your state’s board or visit http://www.aota.org/ to access a database of the requirements for all 50 states.